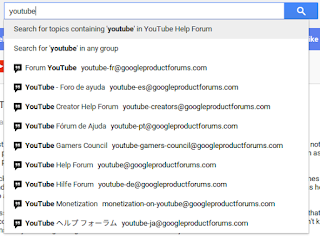 March 2019: The Google support forums are in the process of moving to a new platform, integrated with the Google Help Center. These instructions no longer apply. If you are having trouble with a Google product or service - YouTube, Hangouts, Gmail, Blogger, Drive, AdSense - your first stop should be the Help Center for that product. There you should find instructions, troubleshooters and even direct contact options for some products. But what if you are still stuck? You can't figure out YouTube channel settings, your AdSense application keeps getting rejected, or Blogger keeps showing an error message? Or maybe you want to provide feedback and discuss a new feature? Or find out if other users are experiencing a problem after an update? 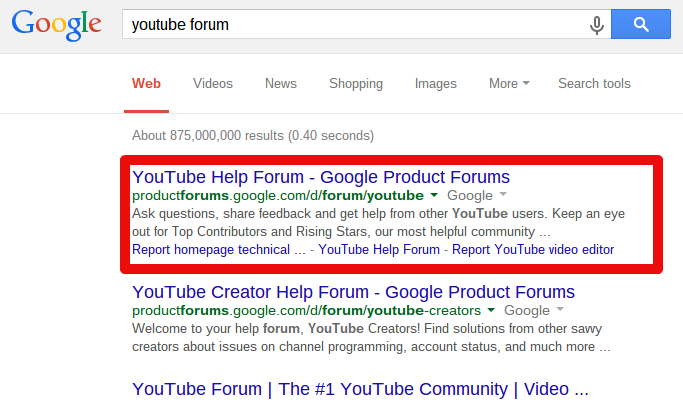 Your next stop should be the Google Product Forums, where other users and experts may be able to help you out. It's easy to do! Posting a question in the Google Product Help Forums does not require any special knowledge. If all you want to do is get your question answered, you can skip the details. But you can better find your answer, post a clearer question, or more effectively reply to other users' topics if you know more about how the forum works. That's why I've started this series of posts on Google Product Forum (GPF) Basics. Read on for more details!. To get an answer to your question, you first need to be sure you post it in the correct place. 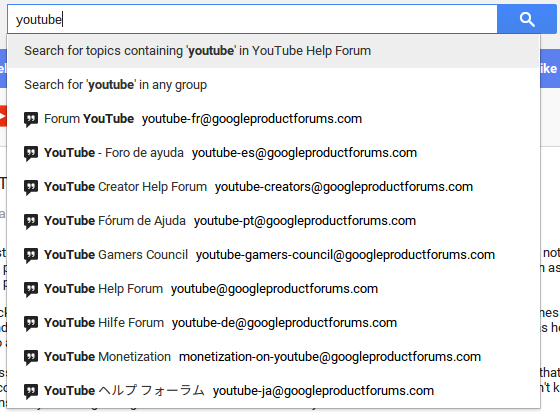 There isn't a universal "Google Help" in most languages, so finding the right forum is your first step. Note: there is no general "Google Support" phone number. If you call Google's main phone number you are likely to be pointed to the forums (at best) or be put on hold for hours (at worst). 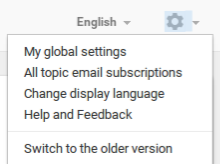 Click the gear icon on the top right to manage your global Google Product Forum settings, such as your display language. Your name and profile photo are set individually for each Product Forum, and you can manage email settings separately for each forum as well. Note: the English Google+ Help Community and the Google Photos Help Community are Google+ Communities, rather than a Google Product Forum. Just make sure the forum link starts with productforums.google.com to make sure you open the official forum. Now that you've found the right forum, it's time to join the forum and configure your membership! 1. 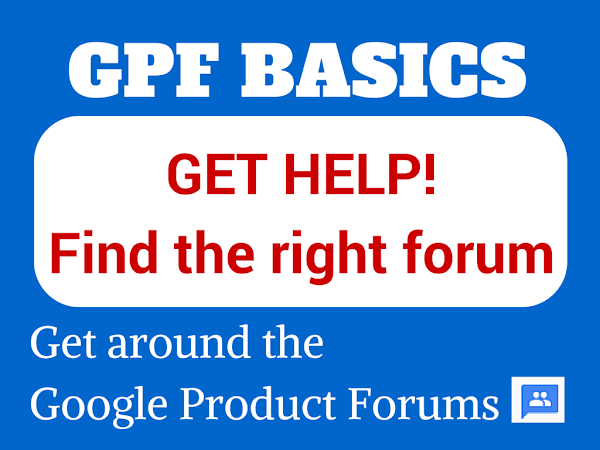 Find the right google product help forum! I've been looking for an answer for a question without success. When hangout created an album on picasa web just with my hangout: own name, and when its created with hangout: me · parties? Do you understand the question? Hi Tomàs : when you upload an image to a Hangout chat, you will then see an album for the Hangout chat in your Picasa Web Albums. The album title will be Hangout: [name]. The album only includes the images you uploaded - you would have to view the other Hangout chat participants' albums for the Hangout to see their images. Photos taken on my phone and tablet aren't backing up to my pictures folder on my computer in the google back up photos folder. Photos from my computer however are backed on my phone and tablet in google photos.I have tried uninstalling google drive and google photos and reinstalling them but still no luck.